When disaster hits your servers, it’s only a matter of time before the damage affects your entire business. Servers are a critical component of your IT infrastructure. To address the essential issue of server performance, consider these options: in-house servers versus cloud or hosted servers. As a business owner, you want to make the most of your IT resources and spend your IT budget on those that yield the best results...for less. Businesses with substantial website operations and online transactions would massively benefit from a cloud-based infrastructure, which may require greater spending. E-commerce companies are a prime example. By contrast, companies that operate a website and funnel profits from online purchases as a secondary rather than a primary source may find in-house servers sufficient and cost-effective. Choosing between a cloud server and an in-house server, however, is a complicated process for most businesses. Take a look at each option’s pros and cons. After looking at these two options, businesses may want to get the PROS of both. Fortunately, there is a third option: a hybrid cloud solution. 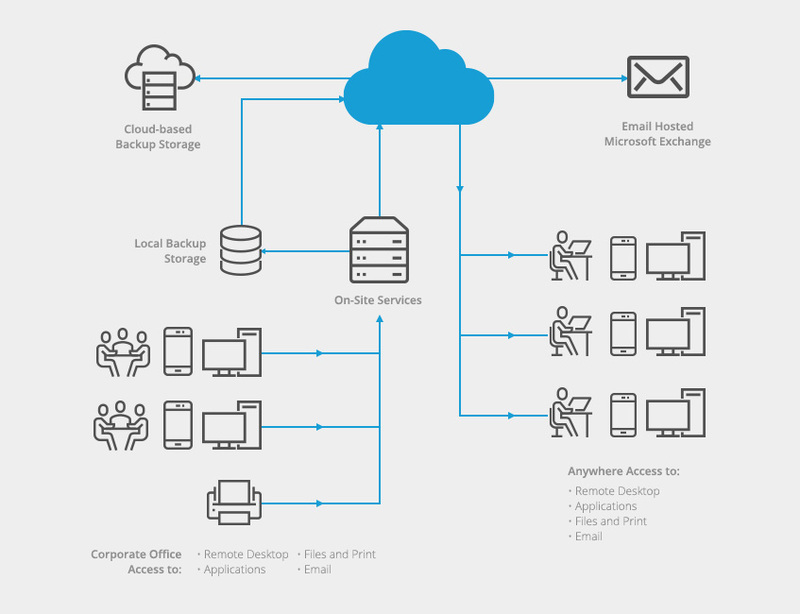 A hybrid cloud solution lets your company enjoy the benefits of a cloud solution -- anytime-anywhere access and scalability -- while also enjoying the benefits of an in-house server, which offers greater data security and sturdier IT components. With a hybrid model, businesses get the ideal backup and disaster recovery set-up because they can back up to both local servers and the cloud. Ultimately, businesses decide the ideal server model for them. It’s a complicated decision, but we at RAM-Tech PC Solutions, LLC can help you choose the cloud solution that perfectly fits your business.